We are happy to offer all parents, parishioners, alumni, grandpals, and friends the chance to support Saint Ann School through the Annual Fund. While the school has just experienced two wonderful fundraisers in the Fall, those monies are used to ensure students have access to field trips, retreats, and playground equipment, teachers have access to classroom supplies and resources, and parents have fellowship building events. The Annual Fund falls in a separate category and solely funds technology and textbook replacement. 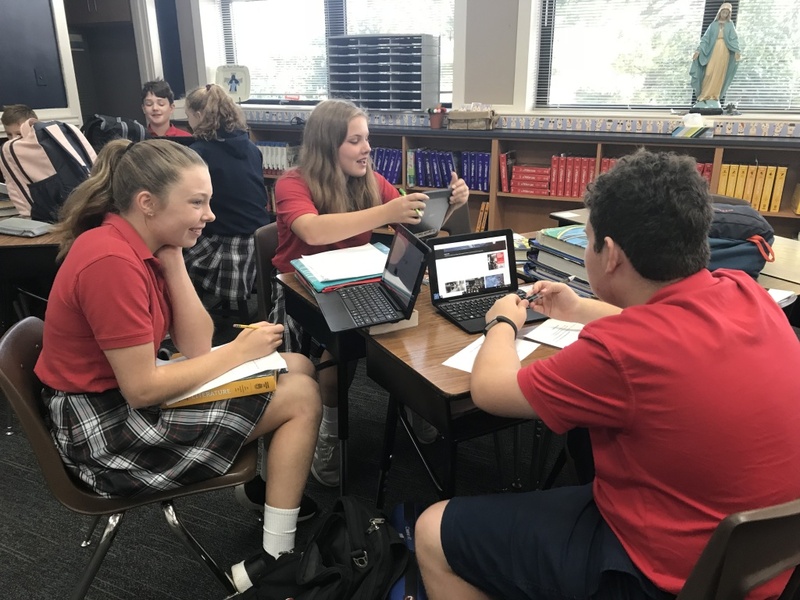 Saint Ann School is one of the only schools in the Diocese who has computer resources for the teachers and students to use on an ongoing basis. We are asking high participation in the Annual Fund this year. Gifts of any level are needed and truly appreciated. The goal this year is 100% participation across the faculty and staff, alumni, parents, etc.! Please consider completing the attached form to make a pledge today or click here to give online. If now if not a good time for your family, consider a pledge that can be paid at a date of your choosing. Click here to read out Annual Fund Letter. If you have any questions, please do not hesitate to contact Anna Rumfola.